Today in Masonic History Frederick Arthur Stanley, 16th Earl of Derby is born in 1841. Frederick Arthur Stanley, 16th Earl of Derby was a British politician and sportsman. Stanley was born on January 15th, 1841 in London. He was educated at Eton College and the Royal Military College, Sandhurst. He received a commission in the Grenadier Guards and rose to the rank of captain. Stanley left the military to run for Parliament. He served as a member of Parliament for Preston, North Lancashire and Blackpool from 1865 until 1886. He also served as the Civil Lord of the Admiralty, Financial Secretary to the War Office, Secretary to the Treasury, War Secretary and Colonial Secretary. In 1888, Stanley was appointed Governor General of Canada and Commander in Chief of Prince Edward Islands. He traveled extensively in Canada during his term as Governor General. In 1889 he traveled to the western part of Canada which allowed him to meet with farmers and members of First Nation, the aboriginal people of Canada. During his travels he also became an outdoors man and became very fond of fishing, which he did whenever his schedule would allow. As Governor General Stanley was only the third person, out of six, that Queen Victoria allowed to have power over granting pardons, remitting sentences and the power of mitigating capital or any other sentences. Stanley was also the one who cemented the non-political role of the Governor General position. He did this by refusing to get involved with a controversial Quebec's Jesuit Estates Bill. The bill was to give $400,000 as compensation to the Jesuit order for lands that had been given to them by the King of France. Other provinces opposed the bill, not trusting the Roman Catholic influence in the in Quebec. Stanley declined to interfere, citing the proposed denial as unconstitutional. In holding to this decision, he gained popularity by refusing to compromise the viceregal position of political neutrality. Stanley's sons became avid hockey players while they were in Canada. Stanley and his wife became staunch hockey fans. In 1892, Stanley donated a cup which was to be used a challenge cup between the amateur hockey clubs in Canada. In 1909 it turned into a trophy contested only by professional teams. In was not until 1926 that the Stanley Cup became a trophy only for National Hockey League teams. The original cup that Stanley donated was 7 inches. The current cup is now more than 36 inches and weighs 35 pounds (16kg). Stanley's term was due to end in September of 1893, unfortunately Stanley's brother who was the 15th Earl of Derby passed away in April of that same year. Because of this Stanley had to accelerate his return to England, which he did in July of 1893. 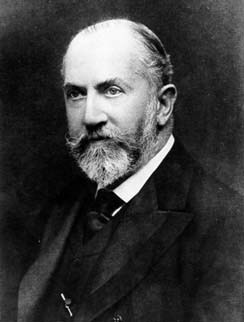 Once back in England Stanley became Lord Mayor of Liverpool, the first Chancellor of the University of Liverpool and was elected Mayor of Preston in 1901. A voice recording of Stanley which dates to 1888 is possibly, with the exception of Thomas Edison, the oldest recording of a human voice that still exists. In 1945 Stanley was inducted into the Canadian Hockey Hall of Fame in the "Honoured Builders" category. Stanley passed away on June 14th, 1908. Stanley was a member of Royal Alpha Lodge No 16 in London, England.